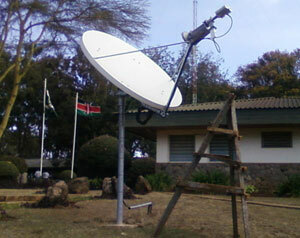 VSAT satellite dish installer: Kenya. 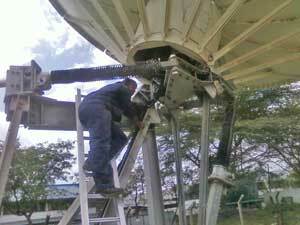 Richard is a Certified VSAT installer / maintenance engineer based in Kenya. He is a Kenyan citizen. 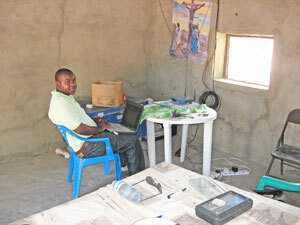 He has been carrying out installations for the last 6 years in Kenya and also other African countries e.g. Sudan, Uganda, Zambia, Malawi just to name a few. 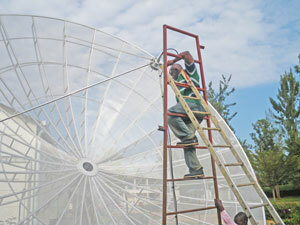 He has experience on C-band and Ku-band, with antenna sizes 1.2m,1.8m, 3.7m and 7.3m diameter. 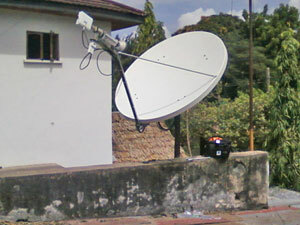 Modems technologies worked with include Dialway 360 (Gilat products), DVB, iDirect, Paradise, Comtech and many more. 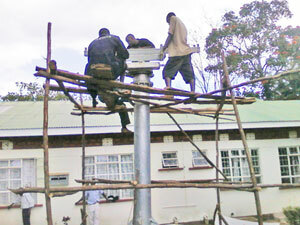 Experience also in network cabling, computer maintenance and repair. I have written this page at the request of Richard Muteru. The information and images are derived from information provided by Richard Muteru and are used here with kind permission. This is not a paid for advertisement.